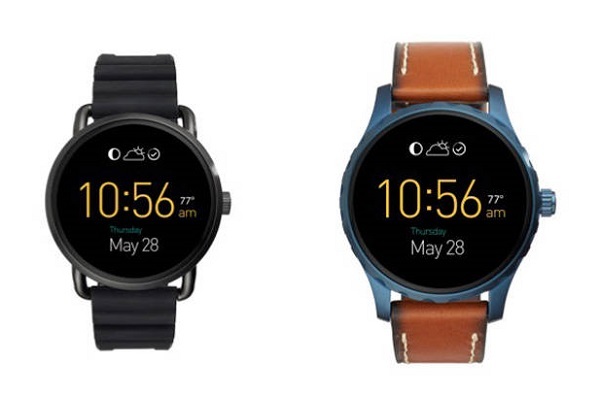 FOSSIL announces Q Marshal, Q Wander smartwatches with Android Wear, Q Motion activity tracker and Smart Analog Watches. 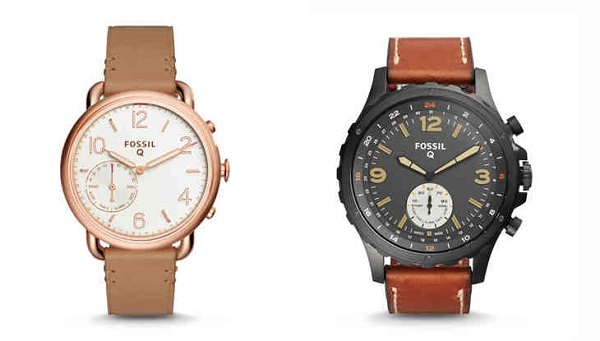 Fossil today announces its latest activity trackers, smarter analog watches, and slimmer Android Wear smartwatches at the 2016 Fossil Global Exposition at Baselworld in Switzerland. Today's announcement includes the next-generation activity tracker Q Motion complete with sleep tracking, water resistance, and smart tap technology; slimmer Android Wear watches (Q Marshal and Q Wander respectively); and a smarter analog watch, which infuses technology into a traditional timepiece unlike any other. With their touchscreen displays, refined steel, and classic leather accents, our newest display smartwatches-Q Wander and Q Marshal-pack the power you need to efficiently accomplish all your daily tasks in a smaller, sleeker package. Q Wander features a soft curving, multi-finish case with artfully sculpted wire lugs, making it both beautiful and functional. The interchangeable genuine leather strap provides the style and comfort customers have come to expect from a watch. Q Marshal features a rugged case along with design updates like a striking navy blue plated case paired with vintage-inspired leather straps. Q Marshal and Q Wander are compatible with Android smartphones and iPhones. Like its existing Q Founder smartwatch, both Q Wander and Q Marshal feature always-on displays, so you'll continuously have access to important information like time, calls and alerts. You can also respond to messages from your watch by tapping the screen or by using voice commands. These smartwatches also let you stay on track with your commute info, flights, and timely reminders thanks to Google Now cards. Q Wander and Q Marshal can be personalized with customizable watch face designs, including exclusive Fossil dials, and interchangeable straps. Both smartwatches are powered by Android Wear-Google's smartwatch platform. This allows you to get the information you want (when you need it) on a watch that expresses your style and fits what you love to do. And with no exposed pins or connectors, charging both smartwatches on the new slim wireless charger is a breeze. Q Motion is an affordably priced tracker that sends you notifications of calls, texts and activity thanks to haptic vibrations and multi-color LED lights. In addition to tracking your sleep and activity, Q Motion features smart tap technology-a revolutionary way of interacting with the world around you. With Q Motion, a simple tap plays your favorite music, finds your phone or helps you take that perfect selfie. No need for recharging Q Motion as its coin cell batteries keep it powered for up to six months. Additionally, it's water resistant for up to 50 meters and features a new sleek cylinder design. Smarter analog watches (coming this fall) alert you to incoming calls as well as notifications from your closest contacts with just the turn of the watch hands. 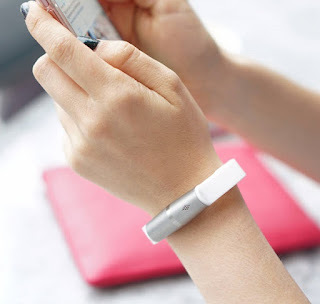 They also track everything from steps to calories, sleep, automatic time zone updates, a second time zone (seen in the sub-eye on the analog dial), and connect to an Android smartphone or iPhone device via Bluetooth. Like Q Motion, these analog smartwatches feature a smart button giving users the ability to control the world around them. These smart analog watches are the ultimate convergence of fashion and technology, bringing together the elegance and simplicity of an analog watch with the latest technology of a smartwatch-in four unique watch platforms. Q Marshal and Q Wander are compatible with Android smartphones and iPhones. Both touchscreen display smartwatches will become available to customers between early summer and fall 2016. Q Motion will be available this summer.